Your Five Star Fueling Solution for boat & yacht fuel delivery. Peterson Fuel has been delivering the highest quality MGO marine diesel fuel to South Florida since 1997. We are equally proud of our environmental stewardship & commitment through out the years..
We stand ready to service your vessel, with our fleet of state-of-the-art, Fuel Ships®. We insure that our fuel prices are the most competitive in Miami and Fort Lauderdale. 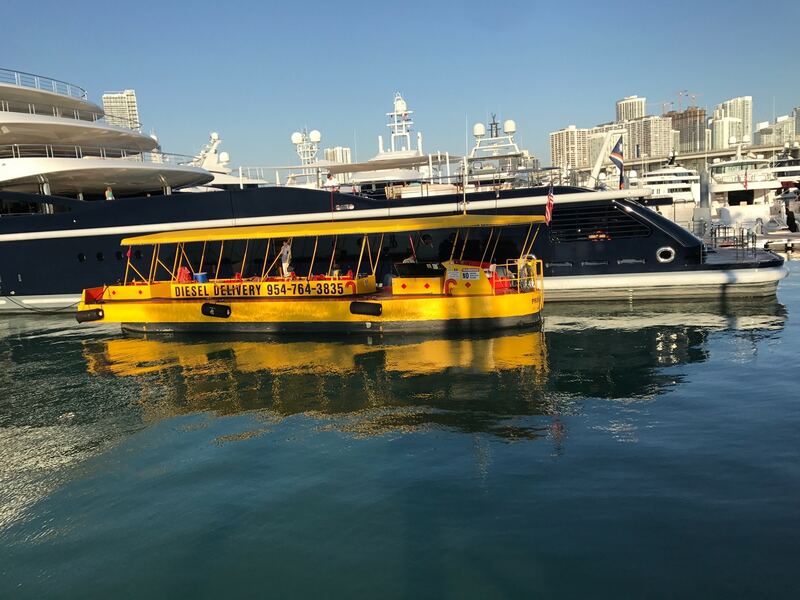 All Welcome: Mega Yachts, Motor Yachts, Cruisers, Sportfishermen, Sailing Boats, Commercial and all boats and yachts in between. Serving Fort Lauderdale: From just north of Sunrise Boulevard to Dania Beach Boulevard, including New River and Dania Cut Off Canal. 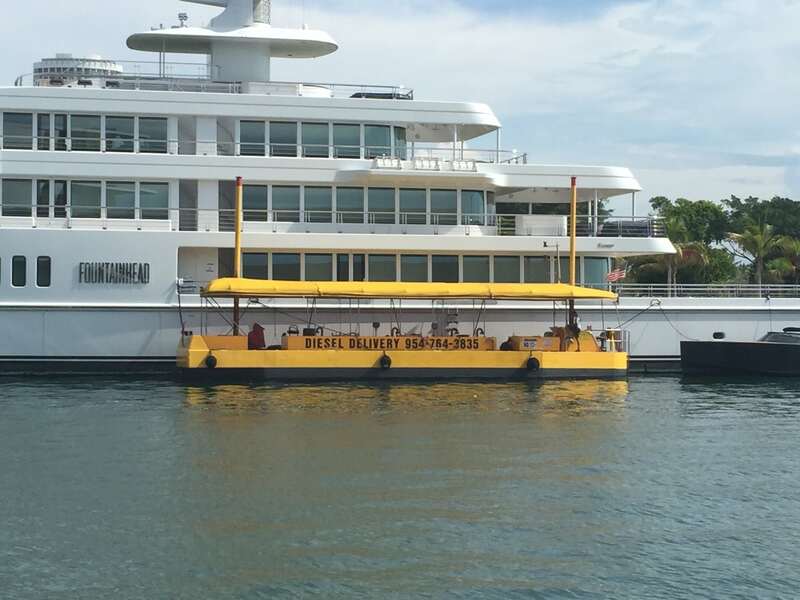 On Saturdays, our Peterson Fuel Barges are available for convenient fueling on the inter-coastal by the Swimming Hall of Fame in Fort Lauderdale and outside of Sunset Harbor in Miami. Peterson Fuel keeps detailed records for every yacht’s fueling set up and procedure. This means we know the set up for repeat fueling of vessels – Saving you Time and Minimizing the Hassle. Even if the yacht crew changes, we have the records to efficiently get you fueled-up. Peterson Fuel Delivery excels at providing our customers “Tanker Direct Pricing” – diesel fuel prices significantly below fuel docks. Competitively priced fuel delivered to your vessel by professional U.S.C.G certified captains & vessels. 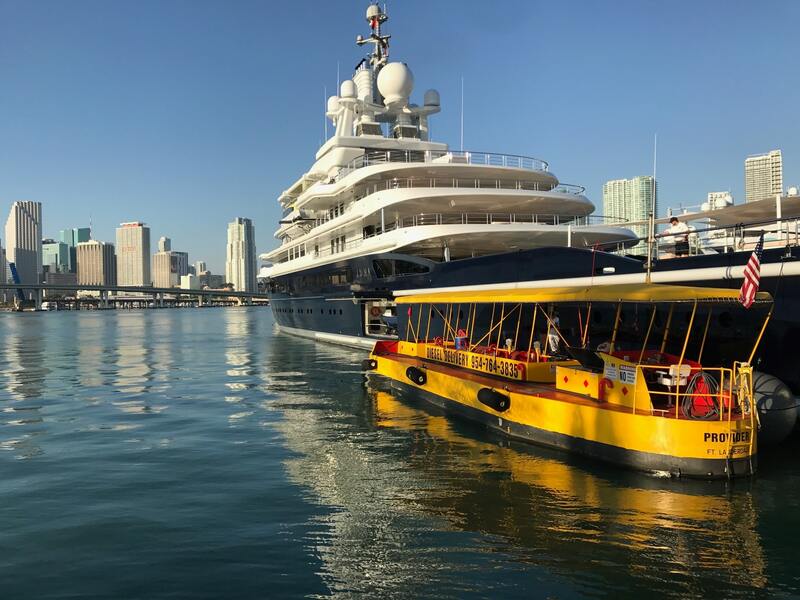 Serving Miami: Miami River, Fisher Island, Star Island, Sunset Harbour, Museum Park, Bayside & Island Gardens. Peterson fueling barges are U.S.C.G. certified and managed by professional U.S.C.G. licensed captains. While the average marina and/or truck pump diesel at a rate of 25 gallons minute, we pump at up to 180 gallons per minute, saving you precious and valuable time. Professional Assistance We keep detailed records of each yachts’s set up and fueling procedure. Even if the yacht crew changes, we have the records to efficiently get you fueled-up. We understand the importance of fuel prices that is why Peterson Fuel prices saves you money with our Tanker Direct Pricing. Tanker direct diesel pricing assures you of fuel prices significantly below fuel docks prices. Schedule a Fuel Delivery in Fort Lauderdale or Miami. We have the boat fuel and experienced fueling crew to keep you going!